Jig to assist 90 degree corner clamping. Find some scrap wood or MDF and mark cut lines and drill points. Drill holes to accommodate clamp heads. Saw excess wood from corners of jig. Great idea, going to make up a set. Thanks for sharing. Good idea! I could have used this in my shop today. I struggled with gluing a small frame. Will have to make something similar. Lovely idea, but experience has shown that there must be no inside corner, ie there must only be two side at right angles and not joined. my only reservation is that might it not be better to drill smaller holes and then jig them as larger perpendicular squares? that way it will be slightly easier and less fidgety when it comes to fitting your clamps and possibly a more even precise pressure can be applied and less chance of slippage as youll be clamping flat rather than on a curve? if that makes sense? what a simple yet great idea, well done and Thank you for sharing! When using this type of joint, consider adding biscuits or other corner supports. Depends on what you are really doing with a corner like this, but a biscuit is simple enough. You could also use a full spline. Requires a bit more work, cutting and setup, but it'll make that joint stronger. Corner clamping isn't easy without a special set up. The clamping pressure really ought to be perpendicular to the glued surfaces for greatest effect. Applying masking tape to the outside of the pieces before gluing and "folding" helps a little. There are also spring clamps with sharp points to apply pressure across the joint. This tool is especially useful for ensuring the parts are held at a right angle while gluing. Good work, and thanks! 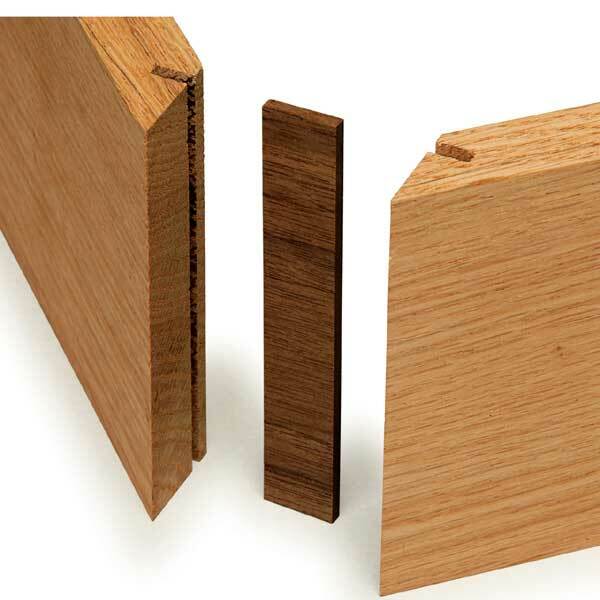 About the glue joint; You are right but most commercial jigs are no better. What I've been thinking of making for sometime now, thanks for the share and I find it as a very helpful tip. This would also be useful for dry fitting joints for drilling and securing with screws. When joining corners I always seem to be one or two hands short. Nice job. Nice. Thanks. It doesn't apply pressure to the actual glue joint in the corner which would be better but it sure is simple. Most of the commercial corner jigs have the same problem. I have a couple of cheap commercial ones (much more expensive than this though) and I almost always need to put a strap around the whole thing to apply pressure to the joint. I like this design better. After seeing this my commercial ones are probably headed to the trash. The brand I bought has lots of little complicated parts and builtin clamps which are thin and cheap. (OK maybe I'm the cheap one for buying them in the first place.) but this one has a stronger and better clamping base mostly because it is thicker. You could make an even better one for bigger projects just by gluing two pieces of MDF together first but that probably isn't necessary. This is great. Excellent design.